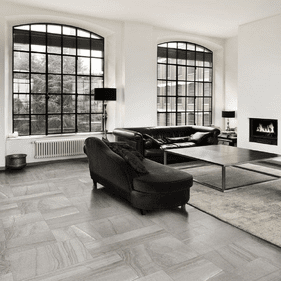 Del Conca Tudor Stone porcelain tiles originate from a distinguished line created by the internationally renowned European flooring company known for Italian style and high quality workmanship. 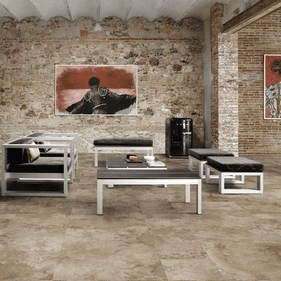 Boasting manufacturing plants on two continents, these tiles are backed by a company that ensures excellence whether your floors will be located in the USA or abroad. Adept at meeting the needs of designers seeking to satisfy classic, contemporary, country charm or custom designer artistic sensibilities, these tiles are equally suited business or home use.The collection affords superlative refinement with a classical colors permeated with quiet elegance. Tudor Beige is sure to delight the senses with its streaked look with tawny veins of neutral tan brushed with bright soft fawn. This color is ideal for a sunlit room with a view of the vineyard. Tudor Stone Gray on the other hand is finely understated with low contrast steely tones both strong and stoic. For an even more sedately elegant option this version of Bianco within the collection is smooth with ivory and delicate texturing. 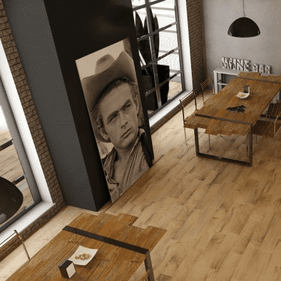 The perfect floor for an executive space or art museum lined with the finest art humanity has ever produced. Light brown with an almost marble character, Noce�s mineral veined visage evokes images of an Italian terrace as painted by a distinguished member of the Pre-Raphaelite Brotherhood. 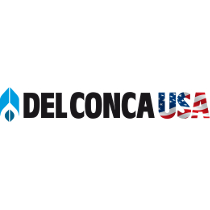 Del Conca Tudor Stone tiles are available in smaller, square 12�x12�, larger format, rectangular 12� x 24�, long 6�x 24� and versatile mosaic. This practical range of sizes allows designers a high degree of latitude and many options for custom style. Bullnose accents are available to match each color within the collection. 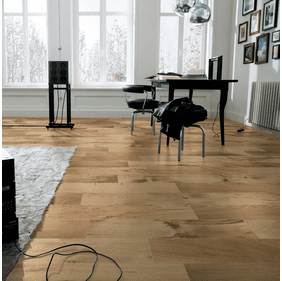 Easily maintained elegant spaces with classic air and a truly noble impression can be yours with this exquisite porcelain tile option. If your goal is subtle elegance with unmatched beauty, refinement, and class, need not look any further.